Overpriced even for those with a sweet tooth. For those that are dessert connoisseurs, you'll understand why these desserts are crazy expensive...or maybe you won't. I don't. I guess anything decorated with real gold and real diamonds allows restaurants to jack up the price to millions of dollars. Forget school, this is what I need to do instead!! 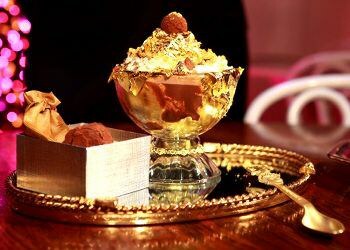 This dessert is found in the United Kingdom and is priced at $1,682. 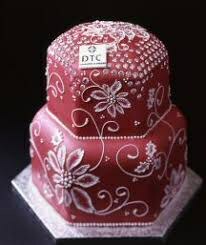 It has edible diamonds along with a 24 karat gold leaf. 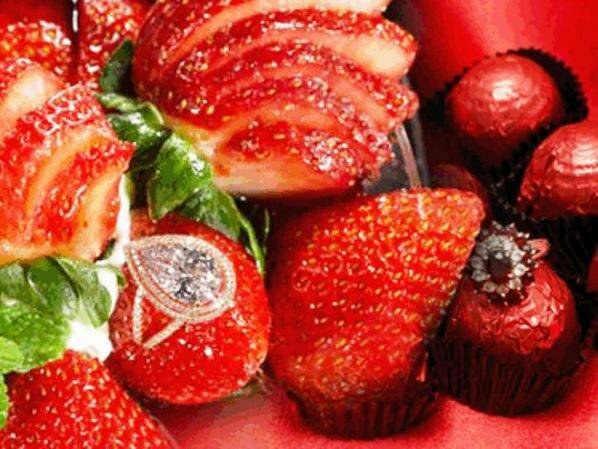 Like I said, adding real jewels is all you need to make lots of money from these desserts. This dessert is found in Dubai and is priced at $1,000. 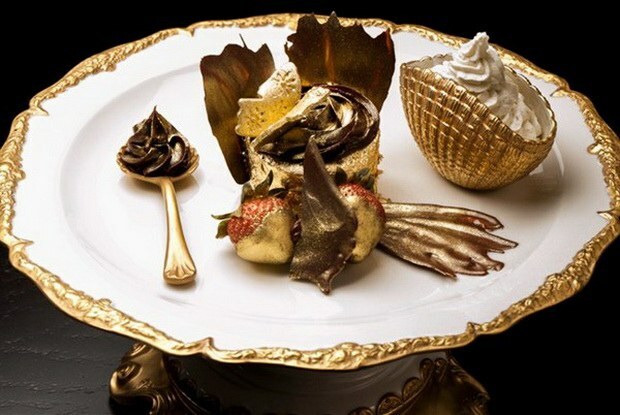 It has vanilla beans from Uganda, has edible gold and is placed on a 24 karat gold cake stand. $1,000 for that small piece of cupcake... sounds reasonable. 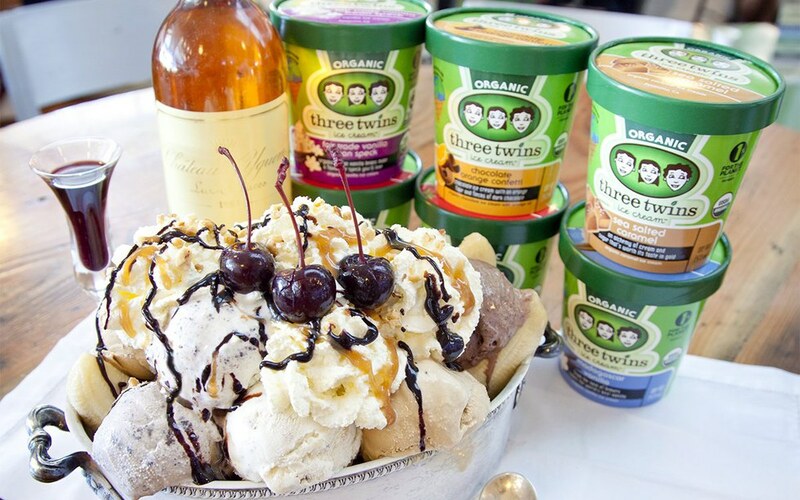 This dessert is found in New York City and is priced at $1,000. It comes with different types of chocolates from all over the world from places such as Tahiti and Madagascar. It's accompanied by a bowl of caviar and you're able to eat it with an 18 karat gold spoon. At least it's pretty?!? This dessert is found in Sri Lanka and is priced at $14,500. As the name suggests, it portrays a man of stilts. Also, there's a 80 karat aquamarine. A eight year old can draw that.. should that cost as much? This dessert is from New York City (once again) and is priced at $25,000. It contains cocoa from fourteen different places (because why not) and is in a goblet decorated with gold and diamonds. 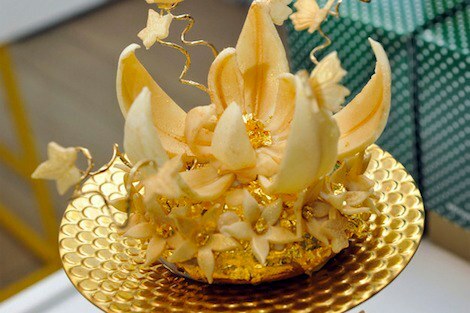 This dessert is found in Japan and is priced at $130,000. 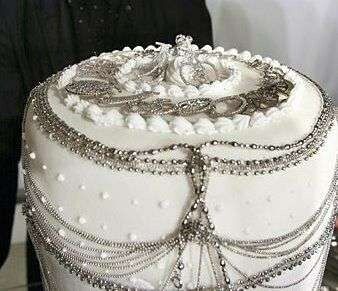 It is covered in plain white frosting and decorated with pounds and pounds of platinum jewelry. No offense, but that doesn't even look that pretty. 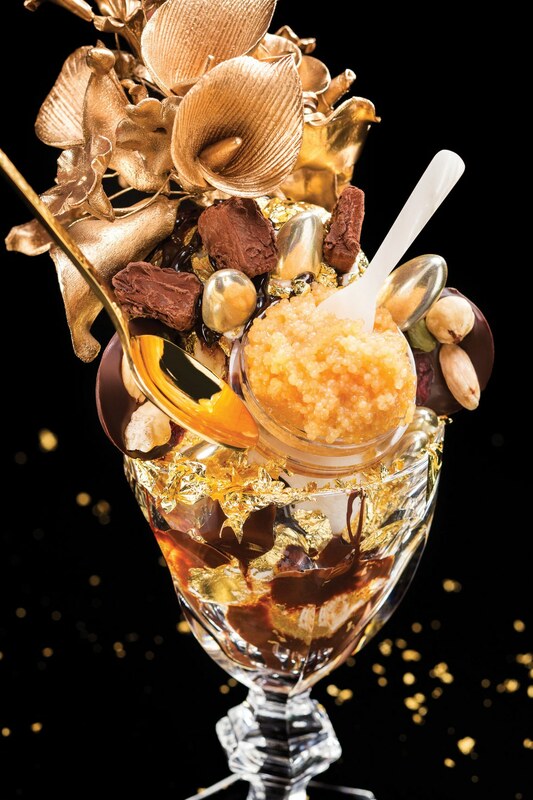 This dessert is found in Paris and is priced at $7,414. While this may seem like nothing compared to others listed, don't forget that these macarons are itty bitty. 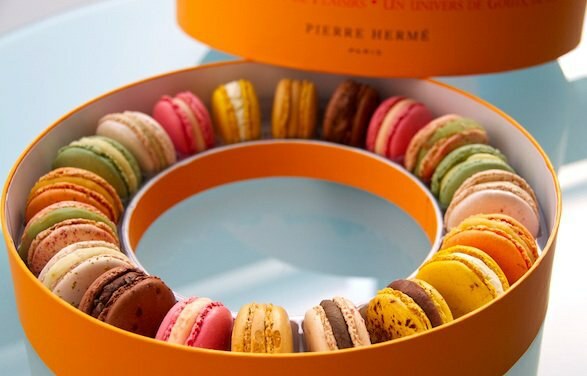 Some of these macarons include fine balsamic vinegar, fleur de sel, or even red grape! Makes sense why it costs so much.... not really. I have some red grapes too! Cool I can start selling macarons for that much! 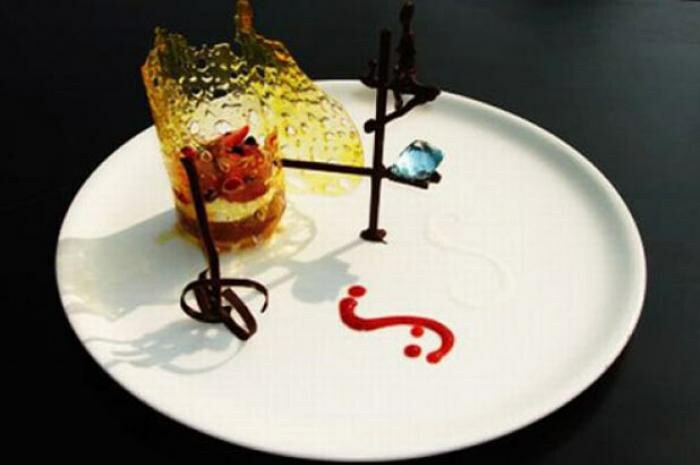 This dessert is found in Tanzania and is priced at $60,000. It costs so much because it comes from the disappearing glaciers of Mount Kilimanjaro. It's cool how they already know that those glaciers are disappearing and yet they still use it to make ice cream..... hmmm smart.